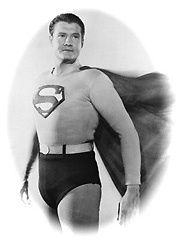 Lately I’ve been pondering the subject of superheroes. Everyone has their favorite – mine is Batman – and I think everyone at some time has fantasized about being one. I know I have. Of course, unlike Batman, whose uses cunning, strength, battle expertise and a bizarre psychological makeup to his advantage, I’m thinking that having superpowers might be one of the prerequisites of the job. Unfortunately, most of the powers that are of interest to me, especially the ability to bend space and time and invisibility, have been taken. What’s a fledging superhero to do? I flirted with shape shifting or the ability to manipulate the weather. I thought about being able to communicate with animals, but other than being very Dr. Doolittle-ish, how would that come in handy when trying to save the world? It wouldn’t. No, it would have to something formidable. So, after much thought, I’ve decided that I want to be able to transform myself into any element, which I think would really come in handy as a superhero. It could also cause some problems, which is OK, because most superheroes are flawed in some way and their powers can often be a curse to them. Being able to change into any element would not only be a cool power to show off, but would be extremely practical. If someone is shooting at me, I can turn myself to iron and not only repel the bullets but bounce them back. If I’m being chased I can quite conveniently turn to steam and drift away. Ditto if I want to sneak into a room. I’d just turn to smoke and go through the keyhole. And if I need to escape a sticky situation I can stand above a sewer grate and turn to water, reconstituting when I hit the pool below. There are no limits to how useful a tool this could be. Being able to transform myself like this makes me near invincible. Which could be a problem. It may be too perfect. My powers would have to have a flaw. For instance, maybe I can only retain my transformation for a certain amount of time, say five minutes. Perhaps my character frequently finds that messy circumstances only get messier because he can’t retain his powers, making a quick and efficient escape of the essence. I would eventually learn that, like the Force of Star Wars fame, my powers could grow through time, practice and training. Like any dedicated student, my character would constantly be working at skills he doesn’t quite understand. Maybe I would find a Yoda-like mentor to help me control and strengthen my powers. I also need to take into consideration just how many elements I could transform into. 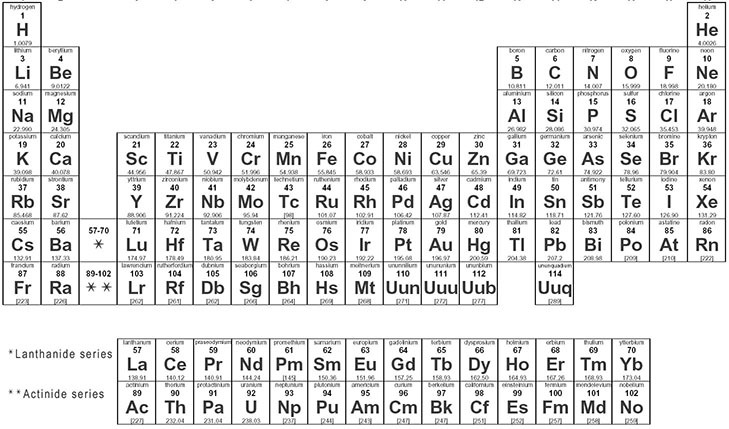 It may be interesting to be able to run the gambit of the Periodic Table; it could fun to turn into germanium or meitnerium, although the latter would mean I would have a half-life of only 720 milliseconds, which sounds problematic. But it would certainly add to the fabric of my character. I may never have to turn to samarium, but I could if I wanted to. Practicality states that it would have to be a solid element and nothing colorless, odorless or tasteless; what good is it to become hydrogen? At first glance one might also think there would be no practical reason to transform into halogens or any of the noble gasses. But, come to think of it, if I wanted to illuminate a dark passageway I could just turn to neon. Of course, I don’t actually turn to neon. Maybe my body just starts to glow brightly. Of course, my character would have to have a back story. We would have to explain how I discover my powers. You just don’t wake up one day made of scandium. Perhaps I’m a physicist. Maybe it’s night and I’m working in the lab alone. Maybe there’s an accident and an explosion releases a white-hot fireball that’s heading right towards me. Unable to move in time I instinctively turn to iron, saving me from the flames rushing harmlessly by. In the aftermath I lie on the floor, gazing in amazement and disbelief at my metallic body. This is interesting, I think before I quickly reconstitute back to my human form, which is, of course, naked, since my clothes have been burned off. But I’m shook at what just happened, not comprehending whether it actually really happened. Later, when realizing that I actually had turned to metal, I decide to test my newfound powers, perhaps by thinking of helium. Curiously, my body doesn’t inflate like a balloon, but begins to levitate, gently lifting me exhilaratingly skyward until I am level with the ceiling. Then the powers suddenly vanish and I crash to the floor below. This entry was posted in Batman, Essays, Humor, Thoughts and Musings, Writing and tagged Batman, Element, Essay, Superhero, Writing. Bookmark the permalink. Laughing. Really. Great post. I think I would choose invisibility as a super power. And thanks for the many comments on Kongo’s blog. You’ve given much thought to this, pretty awesome choices there! Can you put in a request for me, I’d like some wings please!!! super speedy please, none of that Cupid stuff. Thinking more Harvey Birdman with the smarts! Minus the law degree!!! hehe … maybe too much thought! Now, let’s see what we can’t do about securing you a pair of mighty, Pegasus-like wings that even Harvey Birdman would be envious of!